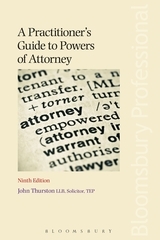 A Practitioner's Guide to Powers of Attorney, Ninth Edition is a practical, user-friendly and easy to read guide to all forms of power of attorney including ordinary power of attorney, lasting power of attorney and enduring power of attorney. 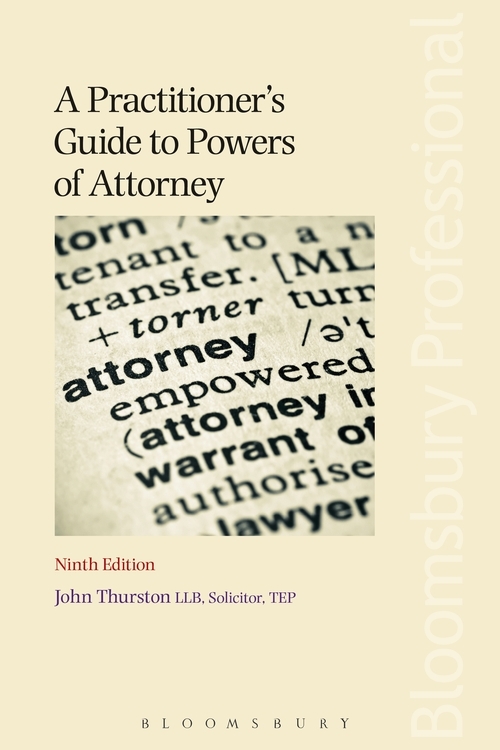 It is the only book on the market to include the changes made by the Lasting Powers of Attorney, Enduring Powers of Attorney and Public Guardian (Amendment) Regulations 2015. Offering a detailed overview of the subject as a whole, this book provides in-depth advice on more specific and complex areas including execution of documents and protection of third parties. by what is in the Act? - Can you extend the power of attorneys to make gifts? - Can the donor authorise an attorney to change the will of the donor? - If two or more attorneys are appointed jointly and severally, can the donor require two attorneys to make some decisions? - Can a donor require an attorney to obtain the consent of a third party to a transaction? - If a partner in a limited liability partnership is appointed as attorney, can an employee of the firm give the certificate? - How will the court deal with objections to the registration of a power?